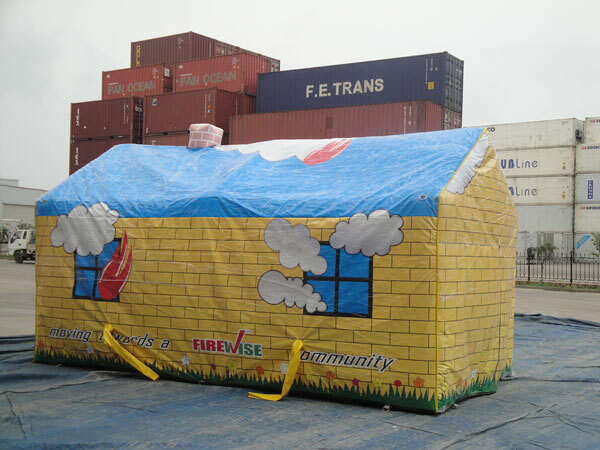 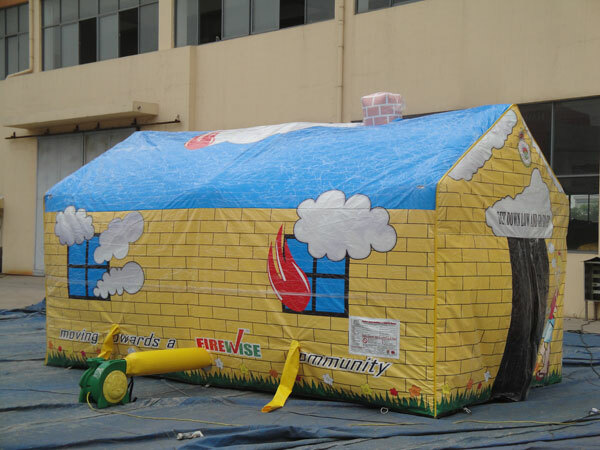 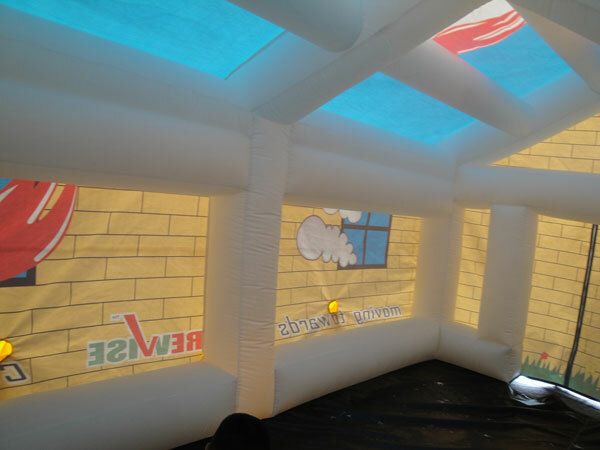 A custom made inflatable firehouse for teaching children about fire safety. 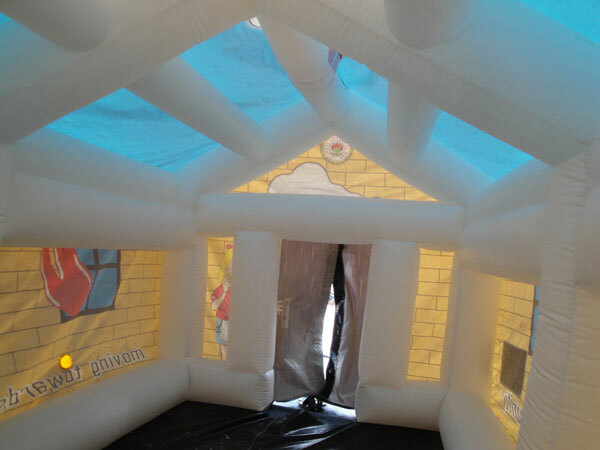 Just arrived and it is a hit already. 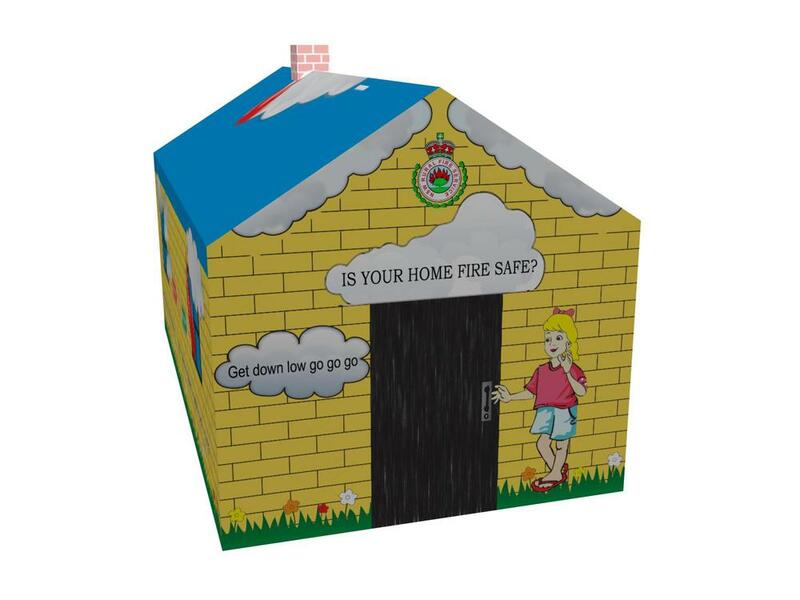 The Firehouse is designed for Fire Brigades to promote fire safety to kids. 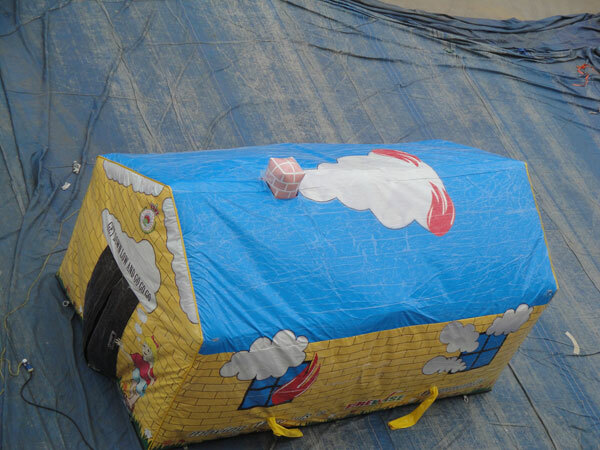 With the slogan "get down low and go, go, go!" 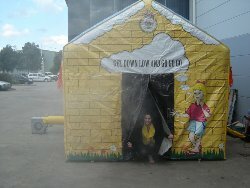 the kids learn to exit a house that is on fire in a safe and quick manner by keeping low. 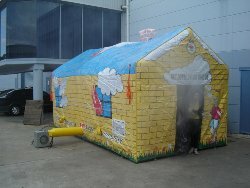 It is interactive for the kids and a fun experience whilst learning what to do in the case of fire in a building. 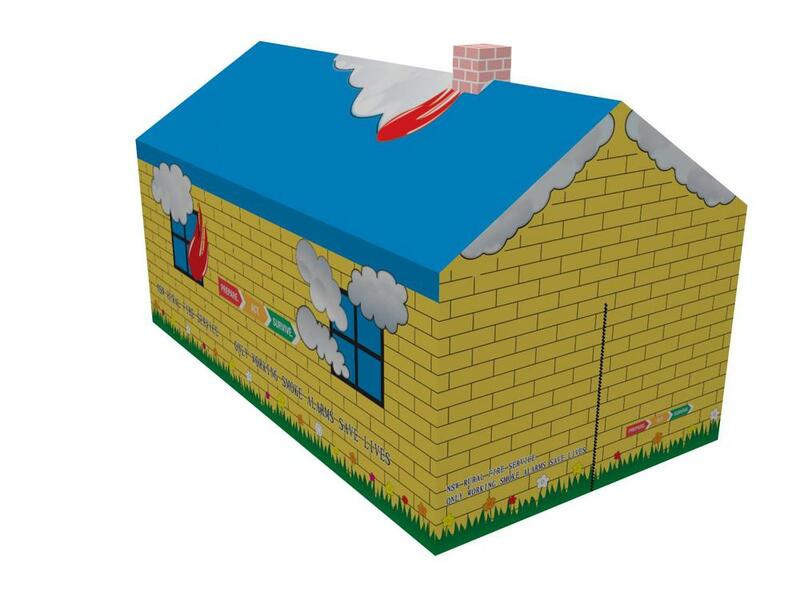 Small inlet valves are inserted in each corner of the Firehouse so fake smoke can be pumped inside the house making the experience as real as possible. 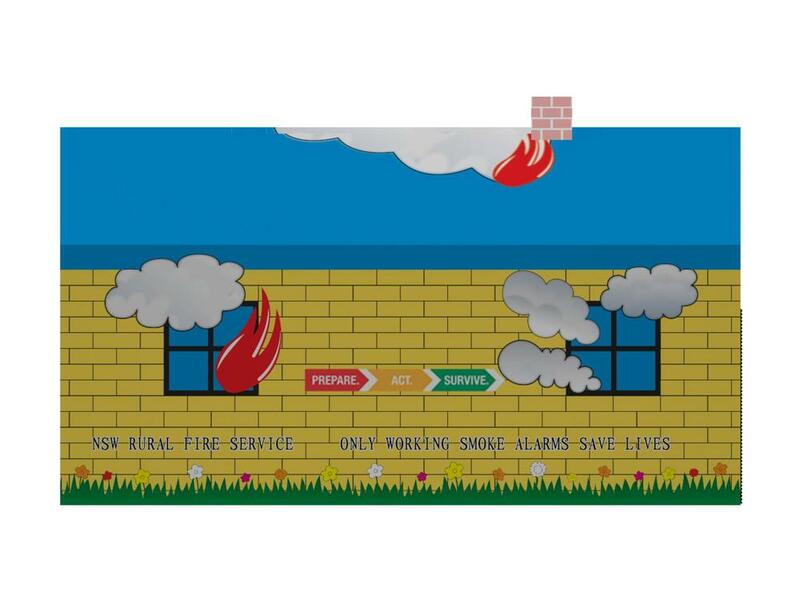 We can design the inflatable any way you want with your own logos, sponsors logos and slogans digitally printed on to the firehouse.